Private-sector lender RBL Bank Ltd said on Monday it has raised its stake in financial product distribution subsidiary Swadhaar FinServe Pvt. Ltd to 60.48% from 58.4%. The bank holds the right to increase its stake to 100% subject to regulatory approvals, it told stock exchanges. It did not disclose the deal value. The bank, which floated its initial public offering in August last year, had bought a 30% stake in Swadhaar in September 2016 for Rs 20.5 crore at a valuation of Rs 68 crore (just over $10 million then). It raised its stake earlier this month to 58.4%. “The bank sees Swadhaar as a vehicle to execute its strategy to become a significant player in the financial inclusion and micro banking segment, catering to the economically weaker and underserved households,” said Vishwavir Ahuja, managing director and chief executive officer, RBL Bank. Swadhaar business operates in 17 states and union territories through 242 branches. It has helped RBL Bank create assets under management (AUM) of around Rs 1,000 crore as of the three months ended September 2017. Mumbai-based Swadhaar is also backed by impact investors MicroVest and Michael and Susan Dell Foundation. It is not immediately known whether they have exited the company following this transaction. The two investors had partially exited in September 2016 when RBL Bank bought the 30% stake. The Swadhaar group, which comprises Swadhaar FinServe, Swadhaar Information and Management Services and Swadhaar FinAccess, was founded in 2005. Swadhaar FinServe distributes financial products as business correspondents. Swadhaar Information was merged with Swadhaar FinServe earlier this year. Swadhaar FinAccess offered micro-credit in Mumbai. Swadhaar started operations in 2008 as a non-banking financial company, taking over the micro-credit portfolio of Swadhaar FinAccess and subsequently converting to an NBFC-microfinance institution in 2010. In 2015, Swadhaar applied to the Reserve Bank of India to surrender its NBFC licence and operate as a business correspondent. This was approved in January 2016. In 2015-16, the company’s total income was Rs 29.5 crore and profit after tax was Rs 1.3 crore. 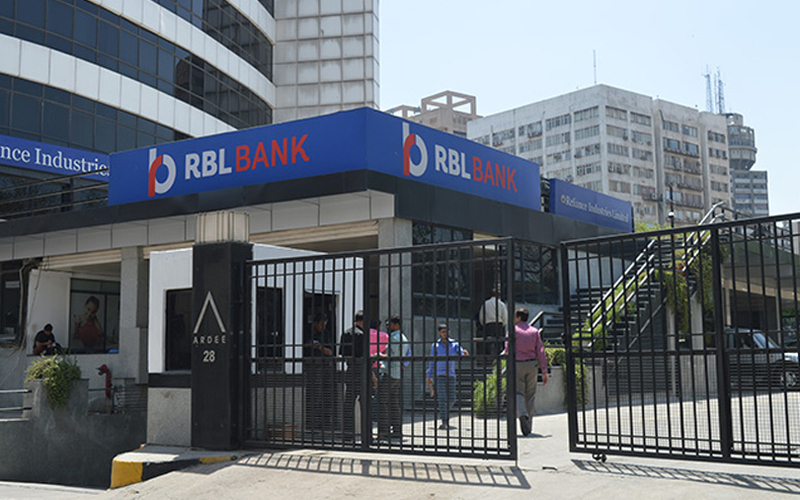 RBL Bank is one of several commercial banks that are increasingly looking at acquiring companies in the financial services segment to increase their bandwidth. VCCircle reported in September last year that Varanasi-based Utkarsh Micro Finance Pvt. Ltd raised Rs 395 crore ($60 million) from several domestic institutional investors including RBL Bank. Last month, private-sector lender IndusInd Bank Ltd agreed to acquire microfinance institution Bharat Financial Inclusion Ltd (formerly SKS Microfinance). In May this year, VCCircle reported that non-banking financial company Madura Micro Finance Ltd was raising a equity capital from Kerala-based AV Thomas Group of Companies. IIFL Holdings had informed stock exchanges in November 2016 that it would acquire Samasta Microfinance Ltd to enter the microfinance segment and extend its offerings. Financial services group Centrum Group started lending operations last month after its acquisition of the India microfinance business of FirstRand Bank Ltd.